A price comparison for four options used to view and record cable television is shown below. The firm release date and price for the HDHomeRun Prime 6 has not yet been provided by SiliconDust, but this is expected to be available sometime in 2019. This post will be updated when this information becomes available. For now, the approximate price for the Prime 6 is based on communications at the Consumer Technology Association's CES event. For the purpose of making a comparison, the price for options requiring ongoing subscription or rental fees is based on using the service for seven years without any introductory offers. Where available, the prices included in this post are the manufacturer's listed price and not the price from specific retailers. The expenses for miscellaneous items and components for additional televisions in other rooms are not included in this comparison. The prices listed below are approximate. Please check out the latest prices and products from Amazon shown below. 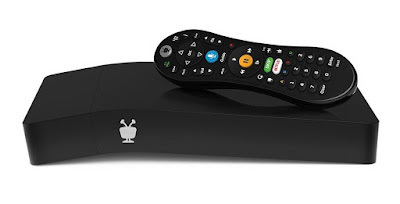 TiVo BOLT VOX 3TB with six tuners is $499.99, and the all-in service plan is $549.99. For a total of $1049.98, you can view and record all cable channels you subscribe to and have access to all the other features the BOLT VOX offers. Also, there are other TiVo products available that cost less than the premium model indicated above. The Prime 6 is expected to be approximately $199, and the DVR service is currently $35 per year which adds up to $245 for seven years. There are other CableCARD tuners available with a significantly lower price such as a Hauppauge WinTV-DCR-2650, but this new product will have six tuners which makes it worth the price. The ability to record copy-protected cable channels with the DVR service is expected to be possible when the Prime 6 is released according to multiple sources. You will need network-attached storage or other hardware to record the cable content such as a Dell Inspiron small desktop PC. This PC with with a 1TB hard drive, Intel UHD Graphics 630, Windows 10, and an 8th Generation Intel Core i5-8400 processor is listed for $550. While many lower cost recording hardware options exist, you can get this full small-form PC and Prime 6 with seven years of DVR service for about $994. MythTV is open-source DVR software, and thus the source code is available for free. Certain codecs sometimes used with MythTV are not free. MythTV is not for people that want to minimize the time it takes to setup and maintain a DVR home theater PC. If you like to tinker with computers and software or you want the software to be very customizable, you may like MythTV. Also, while MythTV supports encrypted cable channels, it does not support copy-protected channels. With Comcast, copy-protected channels are generally only premium channels such as HBO. The price for and type of hardware used with MythTV varies greatly, but it is possible to purchase a low-cost quality system. A great tiny computer to use with MythTV is the ASUS VivoMini VM65N Mini PC with Intel Core i5-7200U and NVIDIA GeForce GT930M Graphics. This PC is approximately $532. If you choose to use the optional high quality Schedules Direct guide service, the price is currently $25 per year which adds up to $175 for seven years. The total cost for the Prime 6 and the PC with the optional high quality guide service is approximately $906. Many lower cost options exist for the hardware used with MythTV. The fees listed here are for adding a DVR to the Xfinity Digital Starter package in the South Florida area, and the prices can be different based on multiple factors. Check with Comcast for your applicable fees. The DVR is $9.95 per month, and Comcast's $10.00 per month HD Technology fee will likely need to be added. In my case, I have a single CableCARD with HD channels, and the HD Technology fee is not added. Also, most Comcast cable packages include a set-top box. If you choose to use Comcast's DVR instead of owning your own, you will forego a monthly credit that is in most cases required by the Federal Communications Commission. It has been reported that this credit varies based on your location. For more information about this credit of $2.50 and sometimes up to $5.00 per month, please see dvrhtpc.blogspot.com/2018/05/save-money-on-your-cable-bill-by-using.html. The total cost for the DVR after seven years is generally between $1885.80 and $2095.80. How did you get rid of the HD Technology fee? In my case, I have a single CableCARD and no other equipment from Comcast. They do not apply the HD Technology fee to my bill, and I still get HD channels. Some people have reported that they are charged the fee while having just one CableCARD. Try changing your cable package to one that includes only a standard definition cable box and give them your CableCARD. After getting the new package established and using the cable box for about a month, return the box to Comcast, request a CableCARD, and hopefully the fee will be removed. Good luck. I'm not sure if this is a format issue or something to do with web browser compatibility but I thought I'd post to let you know. Thanks for letting me know. I will look into it. This blog has useful information about DVRs and home theater PCs with a focus on saving money. Your support helps me continue this blog and is greatly appreciated. As a participant in the Amazon Associates Program, I earn a small advertising fee from Amazon. I am not affiliated with any of the manufacturers of the products discussed on this blog. All software that I have authored and modified is open source and available for free on GitHub.